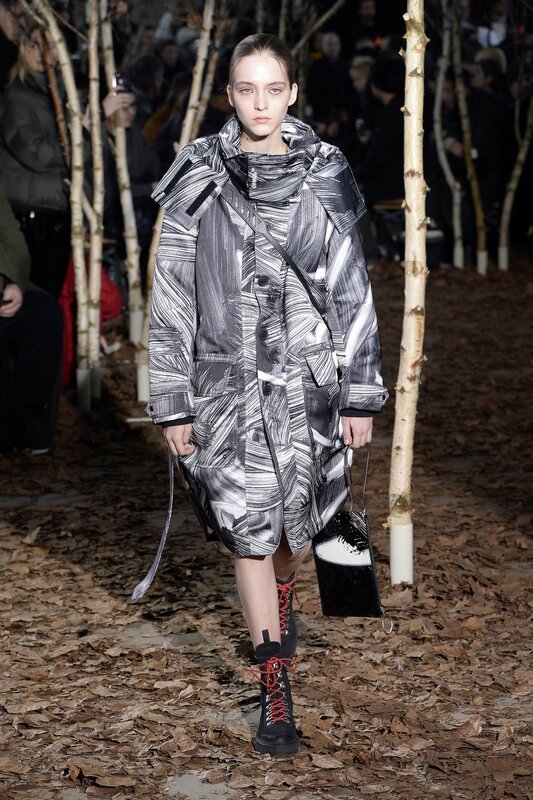 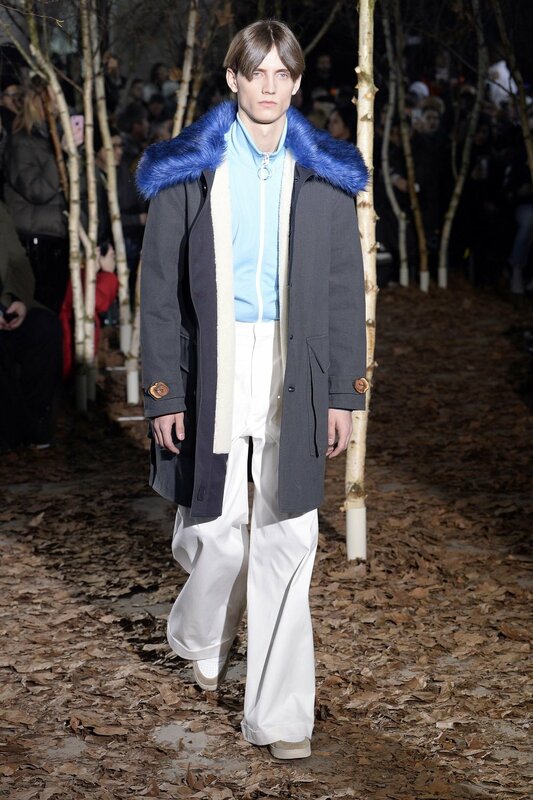 This year’s Paris Fashion Week Men has featured one very peculiar common denominator amongst prestigious historical brands such as Loewe and Balenciaga – both are led by young creative minds whom are not afraid to pierce the proverbial veil of existing barriers set by their previous collections. 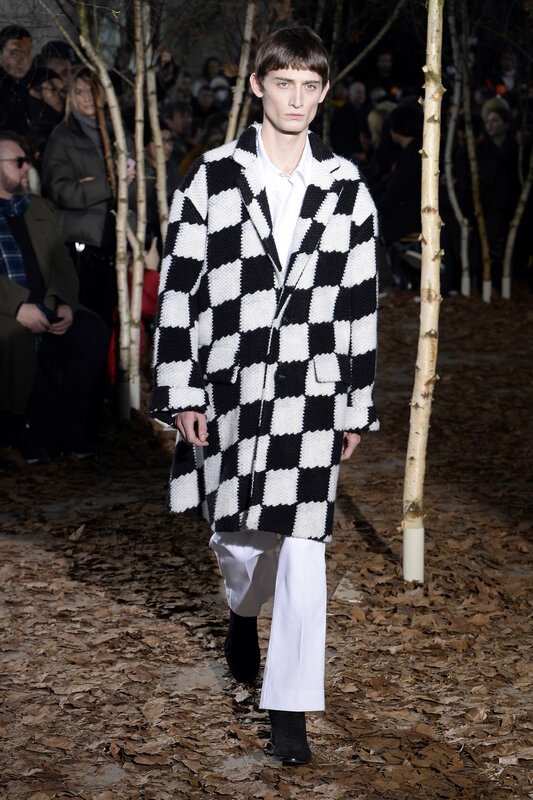 Virgil Abloh’s Off-White AW17 menswear collection was no different in this regard. 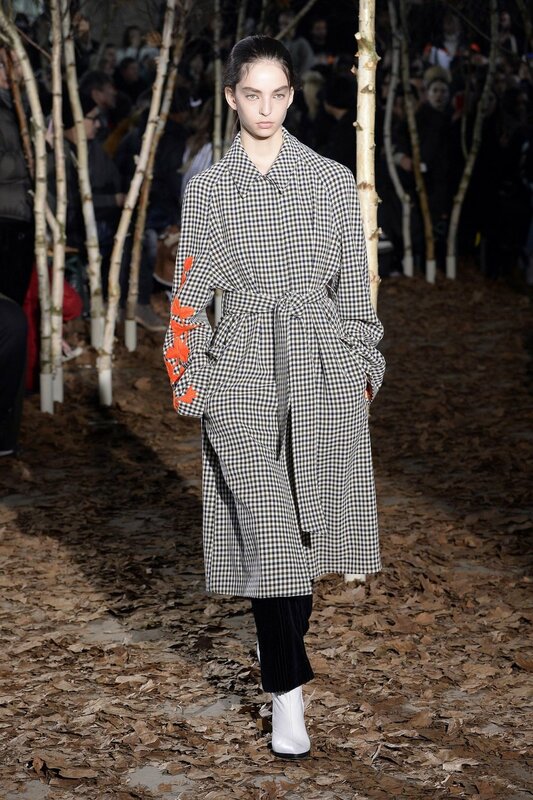 It is, therefore, extremely fitting to the narrative that after only few years in fashion, his collections have become part of the Fashion Week de Paris. 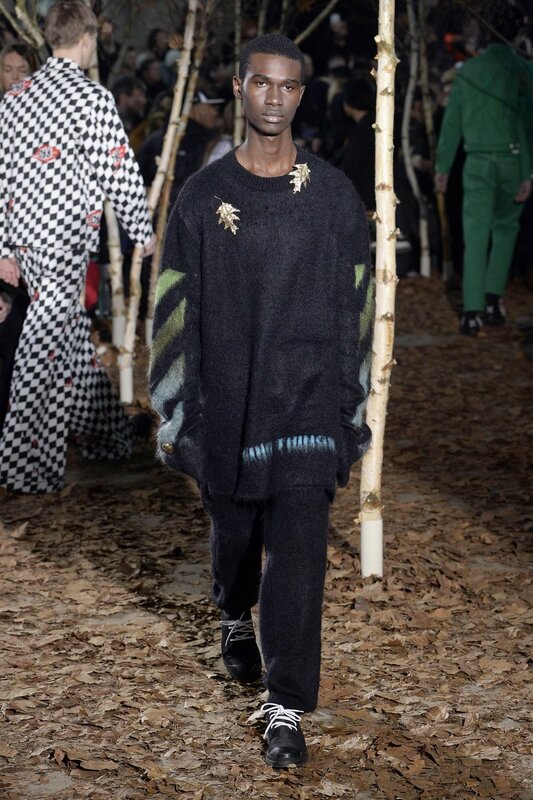 The AW17 menswear collection was beautifully set within the Maison de l’UNESCO ornate in birch trees and fallen leaves. 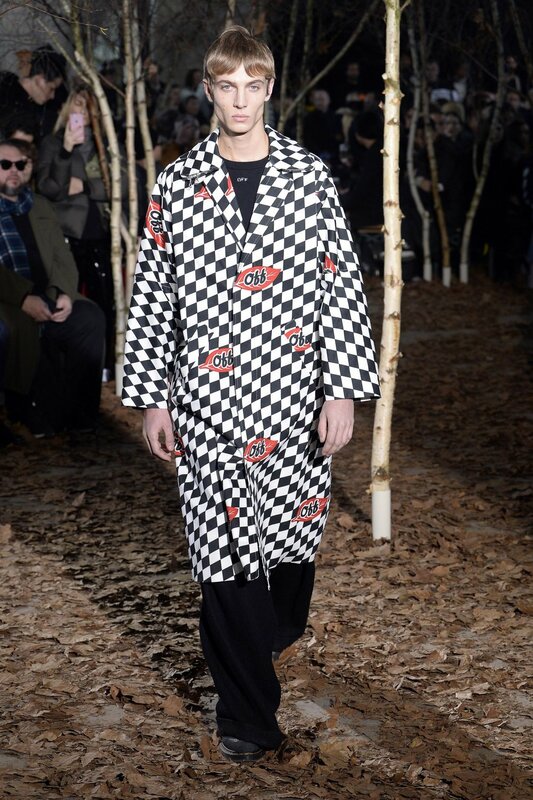 From the very first look onwards, the collection was draped in a sense of maturity and comfort whilst coincidentally flirting with subcultures such as ska and two tone. 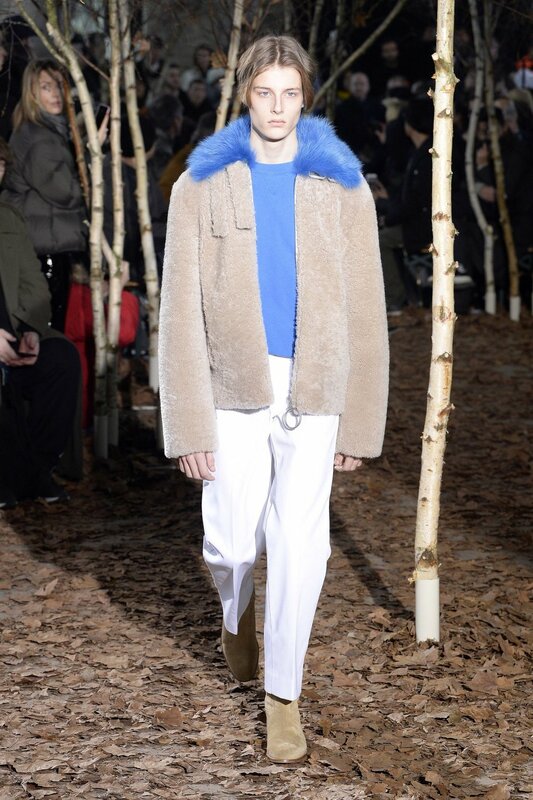 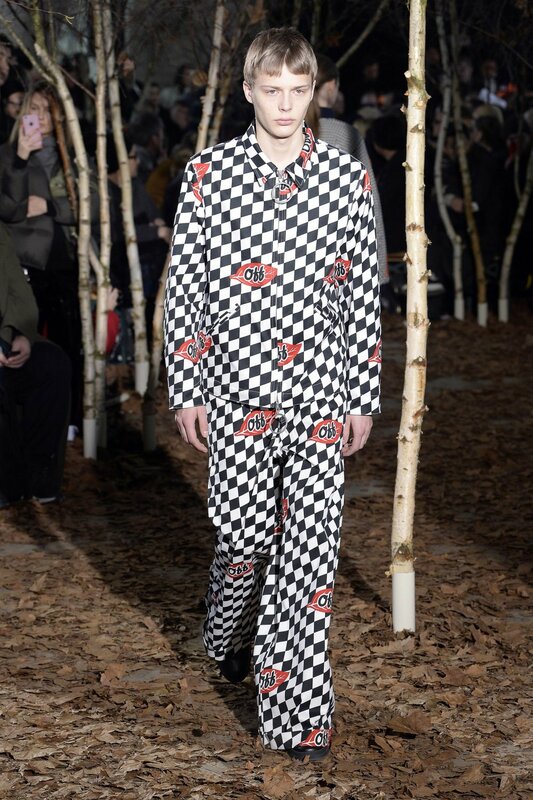 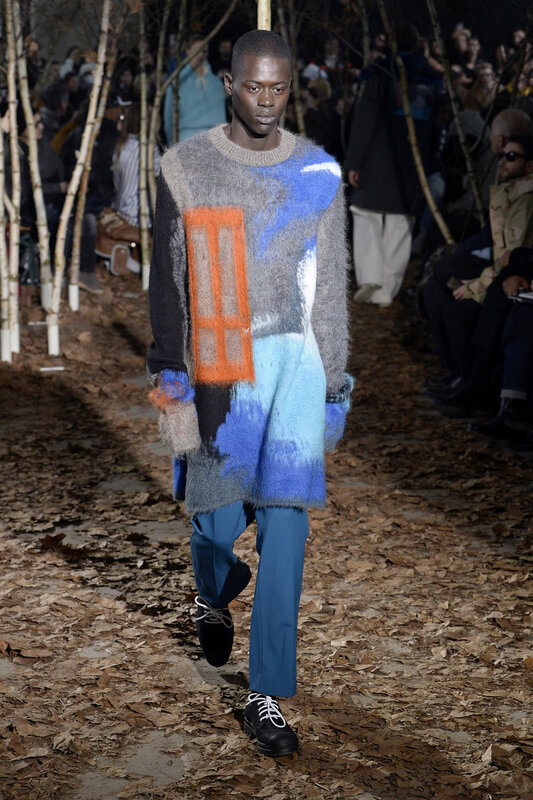 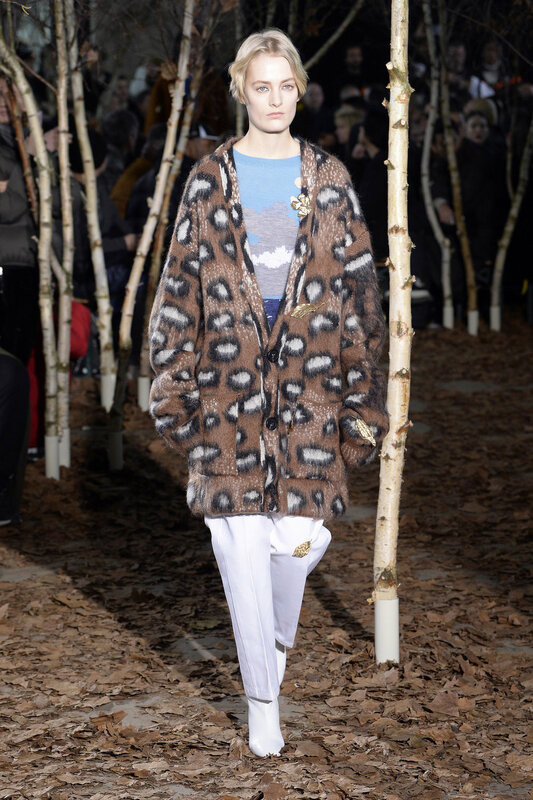 The collection was laced with a heavy focus on contrast created by brown and blue colours, over-long mohair sweaters, wide trousers made from denim, corduroy and velvet as well as long chequered overcoats. 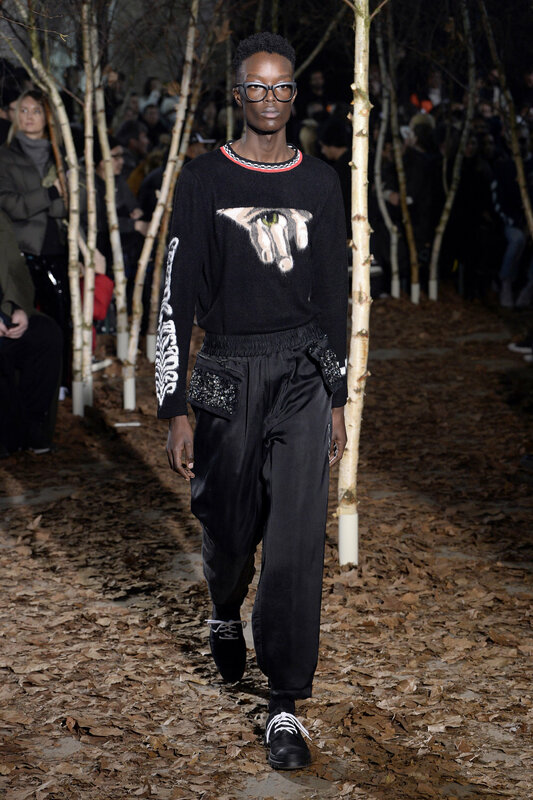 Staying true to the brands nature, Abloh also included a few casual streetwear pieces ranging from hooded sweatshirts to sweaters containing large artistic prints. 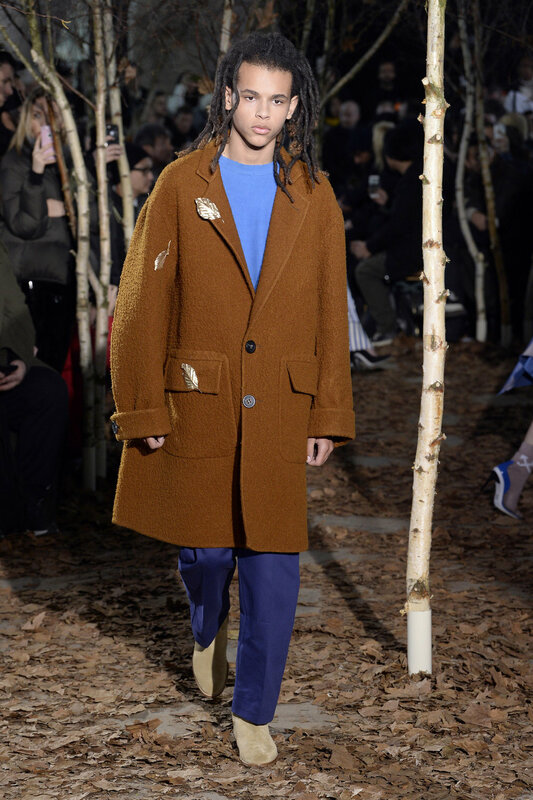 Some of the pieces were furnished with golden leaves, adding an air of sensitivity to the designs as well as mirroring the nature-like surroundings of the UNESCO heritage site stage. 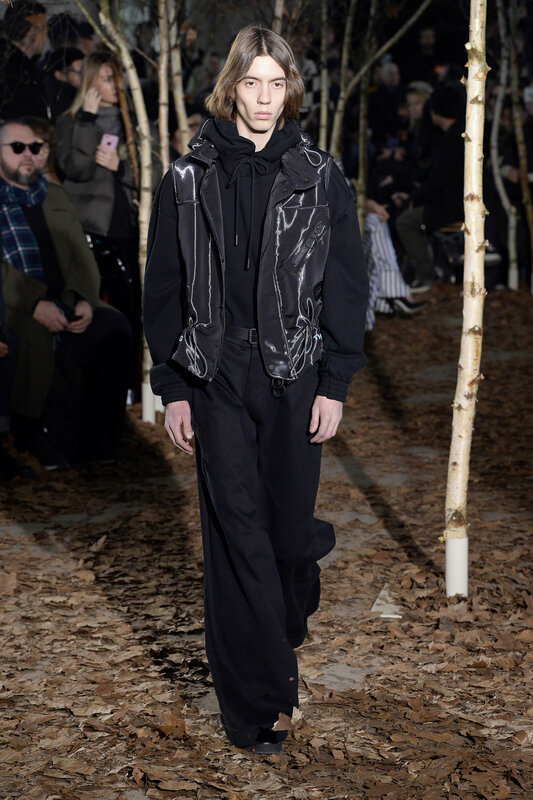 When comparing the AW17 collection to the one previously presented in June 2016, this collection struck a more balanced and mature tone. 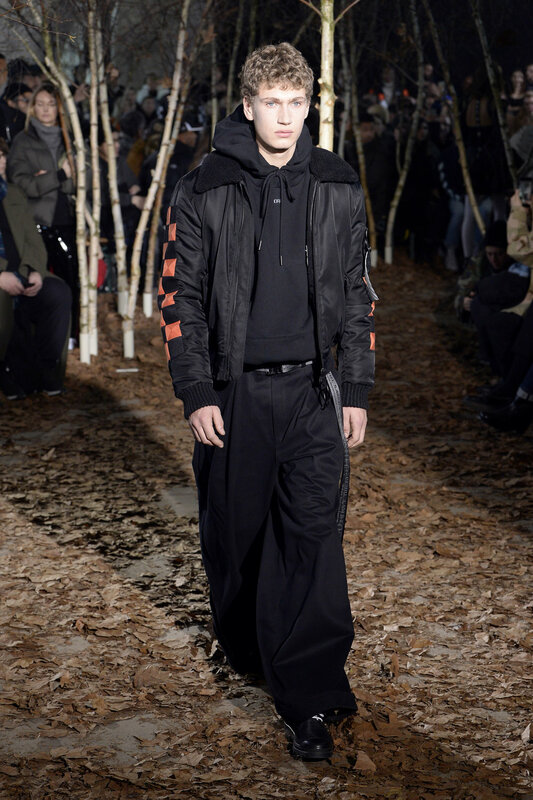 This was done, however, in a manner that still had the brand’s core at its heart; namely its focus on skilfully mixing streetwear with more artistic high-end designs.